I started my yoga journey in the desert of Iraq. And, honestly, I don't even remember having a mat. I ran around the lake we had in Baghdad and at the end of my run, I'd “stretch” out by doing some yoga poses. Back then yoga videos didn't even cross my mind. I'm not really sure there were many on YouTube at the time either. I deployed in 2010, so it's possible it wasn't a thing. Nowadays though, there are tons of free yoga videos out there and quite a bit of them are geared towards the beginner yogi. Which is great for you! What Should You Do Now That You Have These Free Yoga Videos? If you don't have time to practice at a studio… yoga videos are great because they provide you a sequence. If you're not really sure how a pose is supposed to look… yoga videos help give you an idea of how to place your body. Maybe you just want to practice at your house… this makes yoga videos a really great option because you don't have to think of a sequence and you can follow along with a teacher. Sometimes it's just nice to crack open your computer and pop on a yoga video to practice along with. My practice started with Ashtanga yoga, which is honestly not for beginners really, but I loved that I knew exactly what I was going to be practicing. Here's a video that goes through the entire Primary Series (it's 1.5 hours so be warned). If you don't have time to watch the video you can check out this PDF of the Ashtanga Primary series here. If you're worried about not getting the poses right then these videos will be helpful. The teachers are all really good and they give some good cues for the poses. Don't be too hard on yourself if you're just starting out, if you're not really flexible or if you feel insecure about working out. The great thing about yoga videos is that you can do them in the comfort of your home and no one sees you. I can't tell you how many times I've tried to do a headstand and have fallen out of it in every which direction. Being in my own home it made the falling a lot less embarrassing. It might be a little frustrating, but just like doing any exercise… there's a learning curve. Make sure you breathe when you're practicing with these videos. If you feel frustrated or aggravated just try to calm down and breathe. You can always go into Child's Pose if you get upset or feel worn out. Adriene's YouTube channel is one of the most popular on YouTube. She's been posting videos for quite a few years now. Her sequences are always really lovely to practice along with. She's very good at explaining how to get into and out of poses and the sequences flow really well. After you complete this 20-minute sequence you can go to her channel and find many more that are beginner friendly. Some are yoga videos for weight loss, some are for flexibility, and some are more specific to pain or areas of the body. Pressed for time in the morning? Sarah Beth's 10-minute morning yoga sequence is PERFECT for you then. It's easy enough to get up just 15-minutes earlier than normal to squeeze this sequence in. If you're prone to being a little stiff in the morning when you get up this yoga video will help gently move you around to loosen up your joints and muscles. It's relaxing, but also gets your body moving so you can wake up and feel great. See how many times this week you can practice this morning routine and then document how you feel after you complete each sequence. If you're looking for a morning sequence that's a little more invigorating you can try this yoga video here by Sarah Beth. 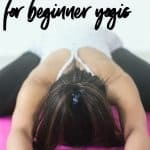 I love the site YogiApproved.com for all things yoga. But, when I discovered their YouTube channel I fell in love. Ashton's classes are really awesome and a good many are beginner friendly. If you have 30-minutes to spare then you should definitely add this flow into your life. You'll feel amazing after doing this yoga sequence. If you're worried about not being flexible enough to do yoga then this is the yoga sequence for you. Cole takes you through a yoga flow that will help to increase your flexibility and build strength in your body. Do this sequence daily or at least 3 times a week to increase your flexibility. Remember to breathe as you work your way through this sequence. This yoga video that Candace has put together is a bit slower than a traditional vinyasa class, but it's oh so lovely. It's something you can really just feel yourself relaxing into as you move through the poses. There are a few that will help you to build your strength, but overall it's a really nice flow for beginners. As yoga videos go, this is probably one of my favorites because it reminds me of my Ashtanga practice. If I'm being honest…. the dog in this video is adorable and one of the many reasons I love it. Only it reminds me of my kids trying to climb all over me when I practice. Cat's flow is really one that's great for people who are new to yoga. 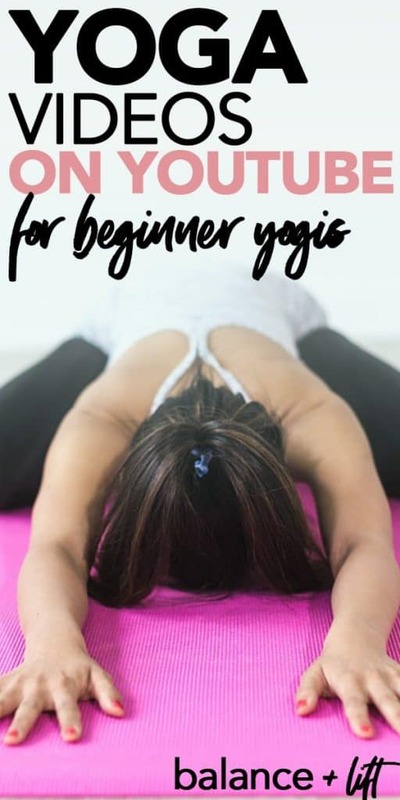 It's not overly complicated and is a great intro to some of the poses that help to stretch, tone and strengthen your body so you can begin to do more advanced poses. I love, love, love Brett Larkin's yoga YouTube channel! Her flows are amazing and I feel amazing after doing one of them. This yoga sequence is really great for the morning and helps to shake off the cobwebs of sleep. Not only that it helps to really invigorate your body so you can feel energized and ready to tackle the day. Give it a go and you won't regret it. Did I mention I love Brett Larkin's flows? This flow is pretty easy for beginners. She doesn't move really fast between poses so you won't get winded or feel tired as you're moving through the sequence. She's really great with her cues and the sequence is just really well put together. Great addition to your morning routines if you shuffle through a few. Talk about a wake-up routine! Andrew's flow will certainly get you up and moving. I love that it incorporates some core work and a lot of stretches that are gentle. It's a good mix of strength and stretch. Great for beginners that are wanting to work on strength without overly taxing themselves or feeling overwhelmed. If I were you I'd try each of them and find 2-3 of your favorites and then rotate through them for a month. Once you have completed these for a month I would explore more videos by these YouTubers. If you're really wanting to up your yoga routine from beginner yoga to a more intermediate practice my next recommendation is Alo Moves. Alo Moves does cost $20/mo but is so insanely worth it that you'll wonder how you ever did without. There are so many different teachers on there that you're bound to find one that you love. Previous Post: « Self-Massage: How and Why You Should Do It Daily?